AT & T had presented many 4G mobile hotspots to the public for its data plan. The AT & T Unite Pro and the AT & T MiFi Liberate are two hot models. However, for those who are unfamiliar with AT & T products, they may not know the two mobile hotspots. If they want to buy a 4G mobile from the two routers from AT & T, they may ask: What’s the difference between AT & T Unite Pro and Liberate? Which one is better to buy? We will review the specs of the two LTE routers to find the answers. Made by Novatel Wireless, the MiFi Liberate is probably the most interesting-looking hotspot, whose shape is sort of like a folded paperback book—it’s basically a flat rectangle with a big circular bump on the back. The AT&T Liberate is constructed from faintly patterned matte black plastic, along with shiny black plastic around the 2.8-inch display. There’s a Power button on the top left, a microSD card slot on the bottom, and a SIM card slot on the back that’s accessible when you remove the battery. 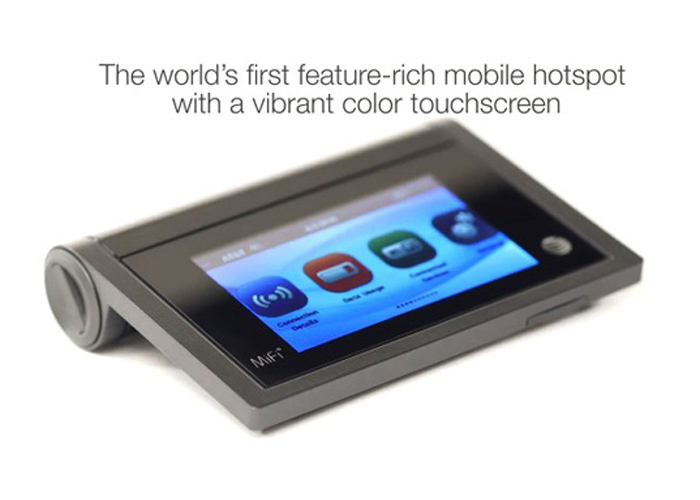 The capacitive 2.8-inch color TFT LCD features 400-by-240-pixel resolution. The AT&T Unite Pro was available much later than MiFi Liberate, and Unite Pro comes from Netgear model Aircard 781s. Like other Netgear 4G LTE Routers, the Unite Pro has a touchscreen with a data usage meter, and the Home and back buttons are at the side of the screen. The power buttons are on the top edge side while the opposite side located the USB 3.0 port and two connectors for external antennas. The back cover can be opened to insert the SIM card and the battery is removable for batter exchange. From the specs table, we can see the Netgear Aircard 781s(AT&T Unite Pro) is more advanced than the MiFi Liberate. The AT&T Unite Pro support LTE cat.4and it could achieve download speed up to 150mbps. The WLAN feature is more advanced. The battery of Unite Pro is more powerful and there are two connectors for an external antenna. 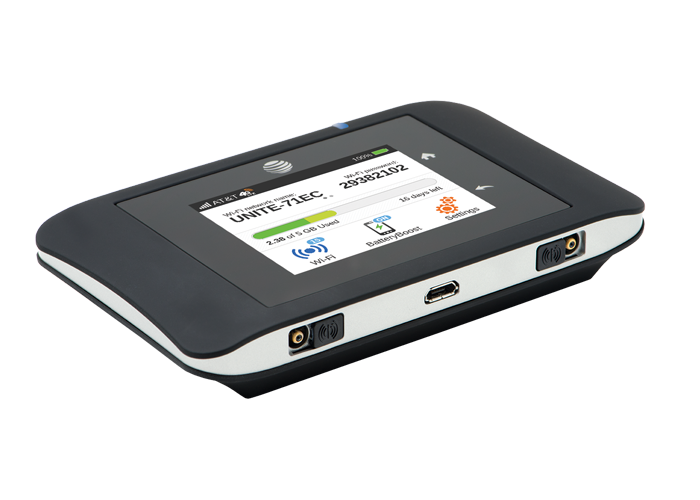 When the AT & T MiFi Liberate was presented the first time, it may be the most advanced, but now it’s an old model and some technical features can not meet the requirements of end-users and the upgrading LTE networks. However, as a basic LTE mobile pocket WiFi, its price is very attractive now. 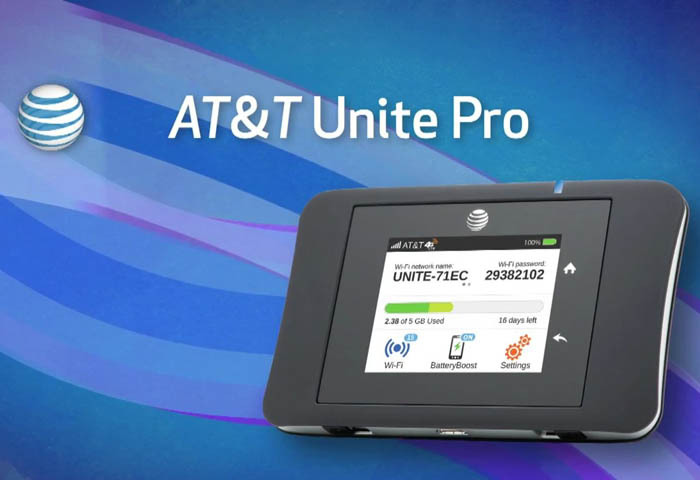 If you just need a decent LTE hotspot, it could be considerable, but if you are concerned about LTE surfing speed and want more powerful features from a mobile hotspot, the AT & T Unite Pro should be considered.